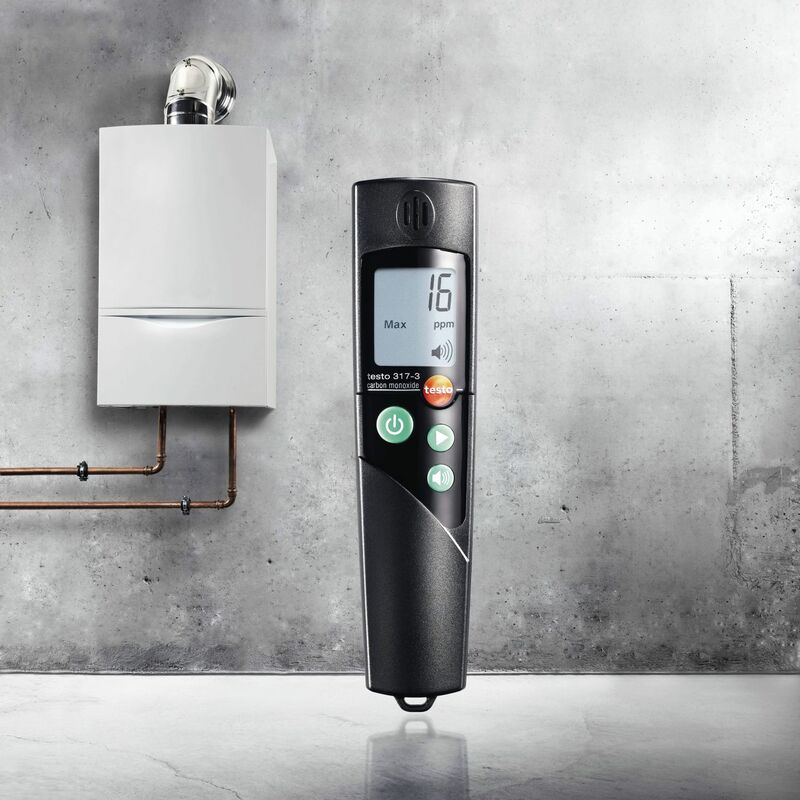 The testo 317-3 ambient CO meter detects the presence of carbon monoxide (CO) in ambient air, and warns the user if potentially harmful CO concentrations are reached. With programmable settings for both visual and audible alarms, as well as hands free operation, ambient CO testing during furnace and boiler service and maintenance, weatherization audits, or home inspections has never been easier. The testo 317-3 ambient CO meter provides fast and easy CO testing with a small, lightweight form factor. An exclusive self-test mode provides worry-free operation, as it will always verify that the CO sensor is functioning, anytime and anywhere, without the need for test gas. In addition, the self-check will ensure accurate CO measurements, without the need to “zero” out the unit in a fresh air environment.